The constant battle to ward off pollutants from this planet is ongoing. The green ad campaign to ban plastic water bottles in schools, restaurants, and other eating spots is getting stronger, and, thankfully, a handful of high end restaurateurs and several school administrators have already taken steps to get rid of plastic water bottles in their small ways. Some restaurants are exempting bottled waters in their menu while some schools are banning these drinks from canteens and are constructing drinking fountains at accessible areas inside the campus. If all schools and dining premises do these, the cities where each of them is situated would surely turn into greener and healthier places to live in. Consequently, if cities will become more planet-conscious, then aiming for a healthier planet will just be a matter of time. Eugene, Oregon – The place’s beauteous spot in the flourishing Willamette Valleys enough to know that Eugene is a beautiful and environment-friendly place indeed. 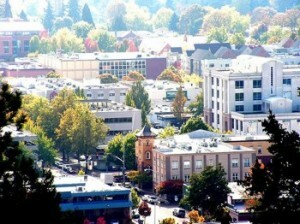 The residents’ efforts in making their place as greener as it can since the 1960’s did not go in vain as Eugene City in Oregon is now dubbed as the Emerald City for a number of reasons. The people in this place have been leading green lives as they continue to preserve their natural green environment by avoiding imported products, factories and manufacturing companies that constantly emit pollutants, and by making use of their local products. On the one hand, 85% of their electricity supply comes from wind power and hydroelectric, diminishing the presence of companies that utilize greenhouse gases to work. They also patronize their local products, thereby, eating and dining green most of the time. They buy from their local markets, which are always filled with organic foods, and they also buy stuffs from their renowned Saturday Market. Meanwhile, Eugene is home to the University of Oregon, the current largest institute to provide studies environmental conservation courses. For pizzas, it has two main pizza parlors that deliver the food with reusable containers. Vegan biscuits, organic choices, and meat free foods to grab are available in cafes surrounding University of Oregon. It also has roasting companies that offers freshly roasted coco beans daily for people who need quick fixes and a lot of hiking paths, trails, and picturesque parks to jog or hike at, bike at, and the likes. Visiting Eugene, Oregon could be one of your greatest travel experiences because the place is a center of warmth, cleanliness, and health. 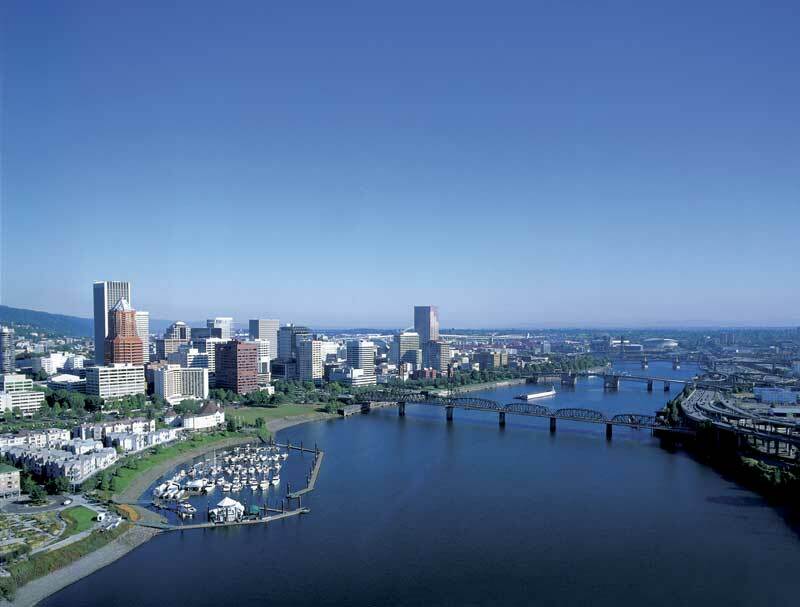 Portland, Oregon – For the tourists, Portland means beautiful sceneries, breathtaking natural landscapes, and healthy lifestyle, but for the residents and those who have been in the place for a long time, it is a place of life. Dubbed to be the first city to realize a plan to greatly reduce the emission of greenhouse gases, their local government is urging its citizens to use bicycle lanes, buses, and light trails to minimize carbon dioxide in the environment. Its major supply of energy comes from a hydroelectric source and the installation of solar power. The government even opened a so-called green space, where residents can picnic, play outdoor sports, and many others as the spot includes land and water ways that definitely keeps them from leading sedentary lives. Hilton Portland, the largest hotel in the city, is commendable for its environment-friendly waste management system and its use of eco-friendly products from cleaners to pillowcases and towels. Hotel Monaco is another popular boutique and green hotel in the place, offering organic foods in its menu and discounts in parking fees to those who bring hybrid cars. And just like in Eugene, it also has the Portland Farmers Market every Saturday that showcases local goods from foods to household products to accessories. 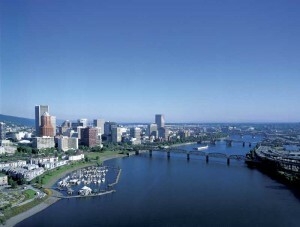 Oakland, California – The place was titled as America’s Fourth Greenest City in 2008 by Popular Science, and it should be, especially that it’s got the safest tap water in the country. Oakland holds a number of interesting green trivia including the presence of three hotels and airports that are certified for its eco-friendliness. Hilton Oakland Airport, Courtyard Marriott Oakland Airport, and Waterfront Plaza Hotel are the spots known for its waste management, recycling, energy conservation activities, and rebuilding activities that only pave the way to a greener community. The Waterfront Plaza Hotel may be a humble place for a lavish tourist, but its efforts on participating the city’s You Make a Difference Program has obtained the nods of aplenty of extravagant tourists. Oakland’s main modes of transportation include bikes and public transportation. Their residents, especially the new ones, are also encouraged by the government to stay in downtown areas. This is the reason that a lot of their people are into biking since metro establishments are only a few distance away from their homes. And for the food, Oakland boasts of pizza parlors and food establishments that serve vegan menus. Let me also add that Oakland is one of the first places in the country that boasts of hydrogen-powered public transportation. It also has rentals for hybrid cars and bicycles. It’s presence in the list of top 10 Cities in the US for Renewable Energy is consistent, which goes to show that it has no plans of ending its strong campaign for the environment anytime soon. Berkeley, California – Committed to making the place the number in the green aspect, local government in the city urges its residents to minimize the release of carbon dioxide by opting for bicycles, public transit, and car pooling. It has adapted the Bay Ares Transit System, which connects it from its neighboring cities namely, San Francisco and Oakland. The said system is known for its eco-friendliness for the use of renewable energy during its operation. The place also boasts of its Middle School Edible Schoolyard Program, which encourages and teaches students to plant, grow, rear, and harvest organic foods. 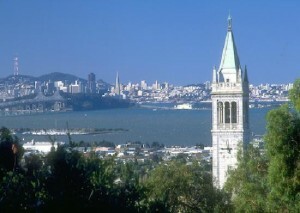 Furthermore, Berkeley, California holds the most number of people who keeps on participating environmental activities and organizations. Its local policies include the implementation of zero waste programs in all business and personal premises and the protection of bodies of water and lands. Because of the city’s commitment to staying green, it is now recognized as the leader in the use of clean technology through solar power, hydropower, bio fuels, and wind power. Austin, Texas – If there is one city in the US that’s been renowned for its undying commitment on staying green, it would have to be Austin, Texas. From the very entrance of Austin up to the very corners of this city, it always lights up with beautiful parks, clean bodies of water, rolling hills, lush gardens, and scenic views. Aside from being a topnotch in eco-friendly ways, Austin is also known for its acceptance to man’s best friend – dogs. 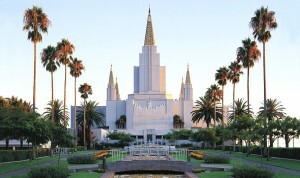 It has parks, shops, attractions, and even dining spots where dogs are welcome! But, of course, there’s a limit when it comes to the dining aspect. Since time immemorial, Austin has never stopped promulgating and creating laws that are not only environment-centered, but also resident-centered. Its SMART (Safe, Mixed Income, Accessible, Reasonably Priced, and Transit Oriented) Initiative is one of the inspirations of others cities that want to become greener in the future. Austin has continuously received awards and recognitions from award giving bodies that recognize a city’s efforts to uphold sustainability. 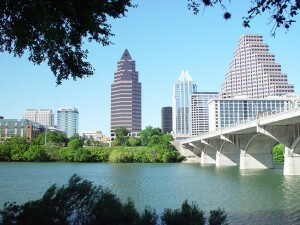 New York Times, The Economist, The Wall Street Journal, and MSN.com all commend Austin for its leading green programs and refer the city as the leader in Green Building Program. Thanks to its numerous green projects like smoking ban in public places; annual planting of trees to maintain its urban forest appeal; garbage collection trucks ran by natural gas; and other multimillion projects that are projected to the reduction of pollutants to the environment, Texas is now recognized as the leader in sustainability programs and is being included in the list of the top 15 greenest cities in the world. Based on how Austin is fighting so hard to realize its vision of becoming a carbon-free city by 2020, I don’t see any reason why it cannot achieve its goals. 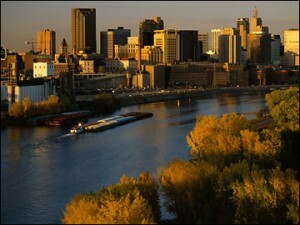 St. Paul, Minnesota – The city is popular for its strong efforts in greatly minimizing CO2 emissions in its environment. It started such mission in 2007 when the city government promulgated a law to complete its light rail system and has encouraged its locals to go for car pooling, biking, and subways. On the one hand, it has also created activities and recognition events to people who have continually supported the government in its feat to create a more sustainable and CO2-free environment. It is also focused in providing organic and local food supply to its locals by providing agricultural studies and participating in food commissions that have no other goal than to educate its people on how to grow and harvest vegetables and fruits in their backyard. For waste management, St. Paul has a plethora of choices on where to go to recycle their food wastes or how to manage their wastes properly. In fact, the city government is teaching its people on how to turn these wastes into lucrative businesses. St. Paul, Minnesota is definitely finding its way to topnotch the rest of the cities in bagging a green place to live for its people. 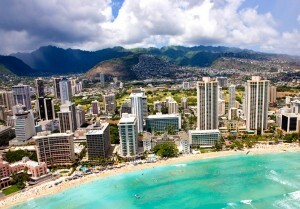 Honolulu, Hawaii – Hawaii is not only popular for its wide beaches, pristine waters, and glorious climate. It is also renowned for its clean air pollution-free environment that it has been maintaining for quite some time. 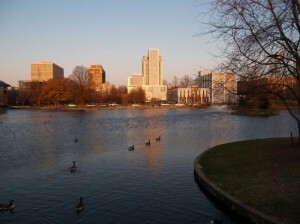 The city has reached the third rank for the greenest cities in the metropolitan area of US. The city government is making use of the LEED rating system with the integration of other energy-savings systems that transform waste from humidifiers and air controllers in its buildings to reusable energy. Apart from that, its buildings are infused with lighting systems that are energy-efficient. The city is also teemed with organizations and institutions that help maintain its green state as they continuously provide lectures and green activities and programs to its residents. When it comes to shopping and markets, its so-called farmers’ markets are growing steadily, adding to its green visions. In this spot, locally grown harvests and crafts are being sold at reasonable prices, saying goodbye to imported and chemical-filled products. Currently, the local government is promulgating more laws and establishing more programs to keep its territory clean and green. Chicago, Illinois – Chicago may be a prosperous city with tons of skyscrapers in the metro, evident of its flourishing economy. 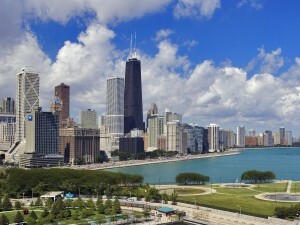 While most cities in the US may actually look like Chicago, these cities are definitely a neophyte when it comes to Chicago’s vision in being an environmental steward. Despite its numerous parks, breathtaking edifices that showcase beautiful architecture, function spots, and many other structures, Chicago still upholds high quality of waste management, efficient energy saving programs, and sustainability programs. These are all directed towards their goal in becoming a sustainable and green country in the years to come. People also have a lot of things to do in Chicago. 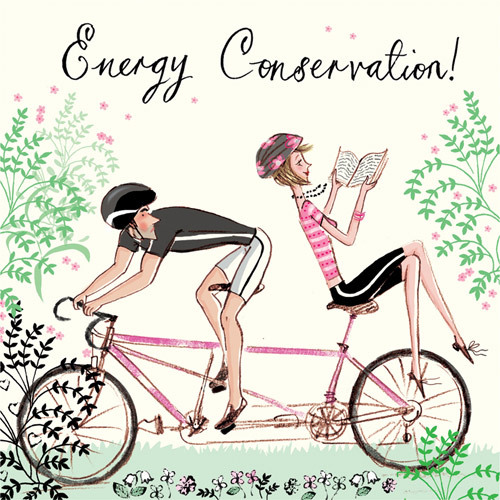 Green City Market presentation is done twice a week while its conservatories are continually inviting one and all to learn more about environment conservation. There is no doubt that tons of changes have positively taken place in Chicago. Yet, despite these improvements, it still retains its eco-friendly status while embracing innovation. 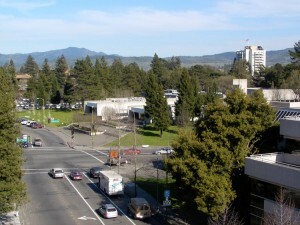 Santa Rosa, California – Renowned for its implementation on smoke-free public places, Santa Rosa, California has surrounded itself with sound and eco-friendly structures. It has tons of bicycle lanes and hiking trails that encourage residents to opt for hiking or biking when traveling to short distances. Despite its booming economy, it still maintains lush scenery by strictly implementing laws that stop illegal logging, unethical waste management, and inefficient lighting. Furthermore, it has reached its goal to build municipal halls sprawling in thousands of feet of land area to meet or surpass LEED standards. Its goal to achieve an eco-friendly territory is made possible by the combined forces of professionals and lowly residents in the area. Huntsville, Alabama – Huntsville, Alabama may not always be included in the top list of greenest cities in the US, but its continued effort in providing its residents with a healthy and sound place to live in is worthy of recognition. Since the Green Team was introduced in the place in 2005, the cleanliness of all the corners in the city is maintained; thanks to is thousands of volunteers. It has also introduced solar and wind generated energy through authorized shops. Most of locals opt for buses while some of them rely on trolleys while hospitals have their own light rail system for their employees. Meanwhile, one of the most notable achievements of Huntsville is the development of a one-of-a-kind industrial park, which features eco-friendly water parks, wet and dry ponds, children’s playground, and a lot more. Surely, there is no place like home, but if you plan on going to the US and looking for a great place to stay for your study or work, these cities are the best places to be. Green cities are not only known for its sound environment, but are also known for its healthy people.